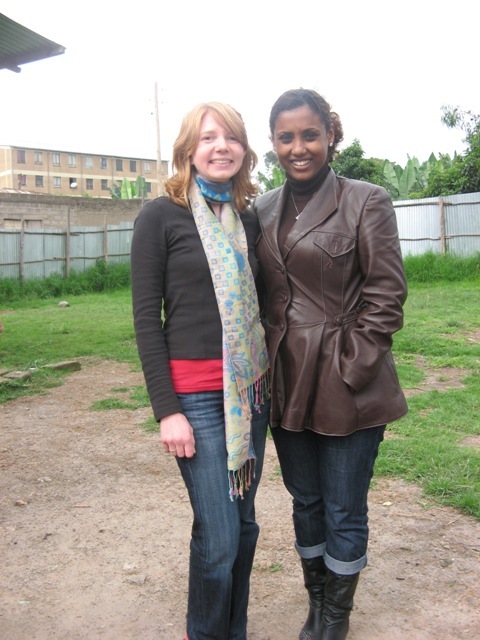 Since we opened our school, Fregenet Kidan Lehitsanat, in the fall of 2004 with 31 needy children in Addis Abeba, Ethiopia, our students and the school have had the privilege of being visited and be served by a number of volunteers, interns and visitors. We have dedicated a page on our website in honor of these kind people named “Viva” – short for visitors, interns and volunteers. We’ve encouraged these generous folks to share their experiences, thoughts, and impressions about the school and our children. They are the first hand witnesses to what the school is accomplishing as it seeks to serve the underprivileged children and the surrounding community. My name is Katrina Morse and I am a graduate student in the Library and Information Science program at Simmons College in Boston. I have been involved with library work for quite a few years and have a particular interest in international librarianship. I decided that I wanted to get some experience working abroad before I complete my degree program and so I spoke with a librarian friend of mine who has much experience working in foreign libraries. She put me in contact with Jane Kurtz, who is very involved with the literacy program Ethiopia Reads and has connections at the Fregenet Kidan Lehitsanat School. Jane thought that the FKL School might need my help and so she connected me with Selam Negussie, FKL School manager, and that is how I came to be involved with the school. I came to Addis Ababa on my own with no prior experience in Ethiopia. The staff at FKL could not have been more welcoming and helpful in assisting me in getting settled, orienting me to the vast city, including me in the festivities surrounding the School’s very first grade four graduation ceremony, and going out of their way to make me feel at home and a part of the team. I was in Addis Ababa for five weeks and spent every weekday at the FKL School. I let the staff at FKL know that I was willing to assist them in any way and so my time volunteering at the School was spent doing a variety of activities. The bulk of my time was spent teaching English and math to a class of grade four and five students, but I also cataloged books in the school library; wrote fliers and press releases for School events; and researched and wrote outlines for grant applications. It is no exaggeration to say that the people I met during my time in Ethiopia are among the friendliest and most hospitable I have ever known. The passion and dedication shown by the FKL School teachers and staff in helping the underprivileged children of Ethiopia was inspiring to behold. 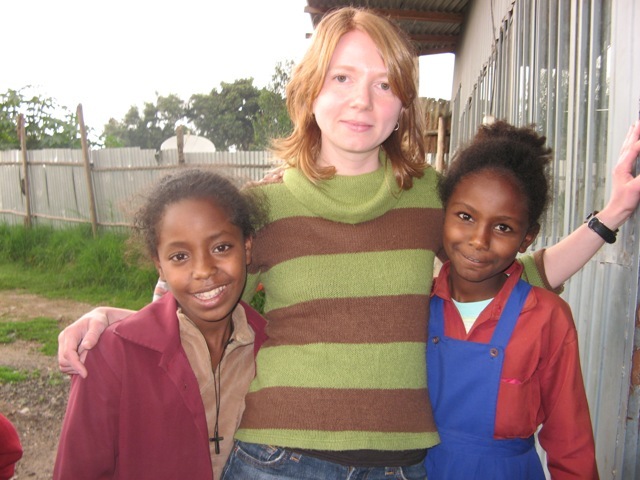 I will never forget my time in Ethiopia and at the FKL School. If possible, I would like to return and offer my services again.